Construction Gap Analysis – Performed a construction gap analysis for a Fortune 500 biotech firm with sites located in California, Washington, Colorado, Rhode Island, and Puerto Rico. Contractor Safety Assessment – Performed contractor safety assessment during the painting of the containment dome of a nuclear operating company located in Ohio. Industrial Hygiene Air-sampling Study – Performed an industrial hygiene air-sampling study and related litigation support involving a fatality that occurred inside a water tower in Minnesota. Construction Site Assessment – Performed a construction site assessment in Pennsylvania and provided related litigation support involving welding inside confined spaces. Safety Planning & Management Oversight – Performed safety planning and management oversight for a project involving weld repairs and modifications to wind tunnels (coated with lead-based paint) at a NASA facility in California. Fall Protection Hazard – Solved a 45-year fall protection hazard for a water tower painting contractor. Written Various Publications – Authored various corporate safety and occupational health standards. Air-sampling database – Created an air-sampling database consisting of over 600 data points of various analytes. 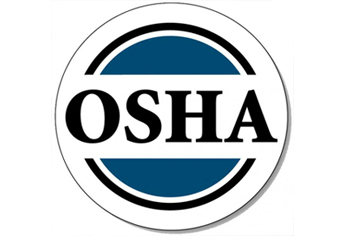 OSHA Training – Provided OSHA training and safety training as and OSHA-authorized instructor to various construction clients. J.E. Spear Consulting, LP has helped hundreds of clients with assessing exposures and managing risks. We can help you too! Call us today at 281-252-0005.